The change in code is quite simple, it merely sets ART as the default and bumps Dalvik in as the alternate. Dalvik obviously hasn't been abandoned yet, but its days may be numbered. 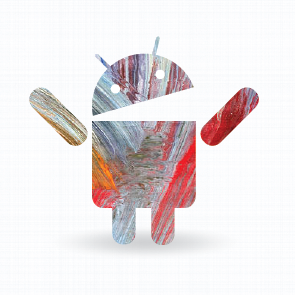 Thanks to rapid adoption by the community and helpful bug reports, the Android team must have worked through enough of the stability issues to consider ART ready for primetime. While this change to configuration is now live in the master branch, it doesn't necessarily mean ART will become the default in official releases from Google for some time. It's not uncommon for code changes to be made early in the life of a project without including them in final builds. The developers may have made the change to simplify testing or to make automated builds easier to manage. It's even possible that this will be reverted in the future. In other words, it's too early to be absolutely certain ART has moved into the #1 position, but it's looking pretty good. Keep an eye out for part 4 of my series introducing ART [parts 1, 2, and 3], coming really soon!